Brosa has collaborated with Melbourne based design studio Spacecraft to bring you a range of beautiful and locally made pieces. The Spacecraft Rose Cushion brings a sense of style and imagination to your home, with a unique and striking design. The dark colour palette is designed to look great in any setting, from the living room to the bedroom. The look of the Spacecraft Rose Cushion is abstract and appealing, designed to work well into its surroundings. For more styles and colours on offer, see the rest of the Spacecraft Cushion Collection. Built for comfort as well as style, the cushion has a soft Australian duck down feather filling making it ideal for everyday use. 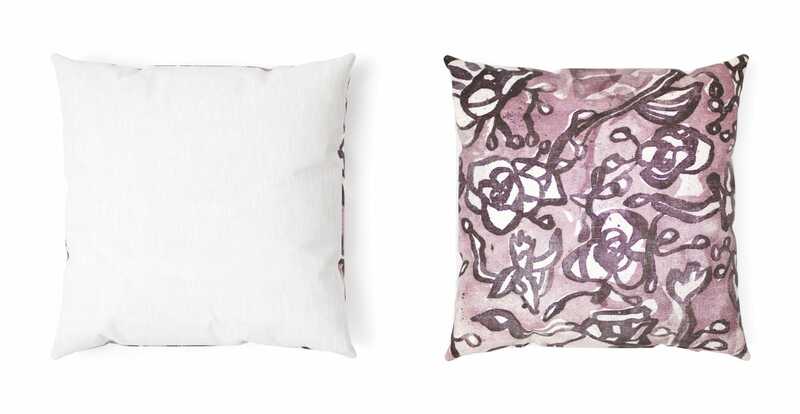 Shop a wider range of cushion collections available from Brosa. A subtle and concealed zipper has been worked into the design, making for convenient cleaning, while the 100% linen fabric is durable and designed to stand the test of time.